Supported by Innovate UK, the collaboration will result in advancements in the design and construction of deep foundations. 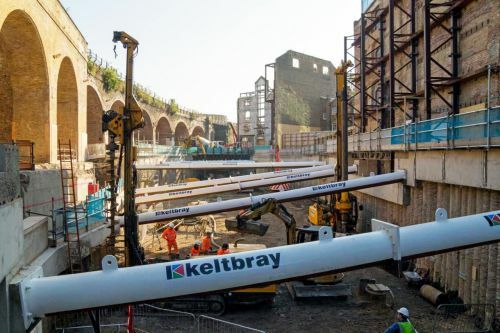 For Keltbray and engineering academics at City, the project in question is to build a cutting-edge development that has the potential to revolutionise the piling industry, and in turn support Construction 2025 objectives to reduce construction programme lengths and costs and lower greenhouse gas emissions. A City graduate has now been appointed as KTP Research Associate to lead the project and will be working in Keltbray’s offices for the duration of the grant, creating direct links to the research setting. These are exciting times for Keltbray and we are pleased that our collaboration with City is already beginning to bear fruit. The KTP itself promises to deliver ground breaking research with the intention for Keltbray to launch new products and services in the latter half of next year. We are aiming for these to deliver unprecedented levels of efficiency. “This momentous cross-sector collaboration and the associated knowledge and technology transfer create completely new possibilities that are anticipated to deliver significant short, mid and long term impacts for us and the industry at large. The research will focus on sustainability, productivity and new forms of emerging best practice models from design to construction”.